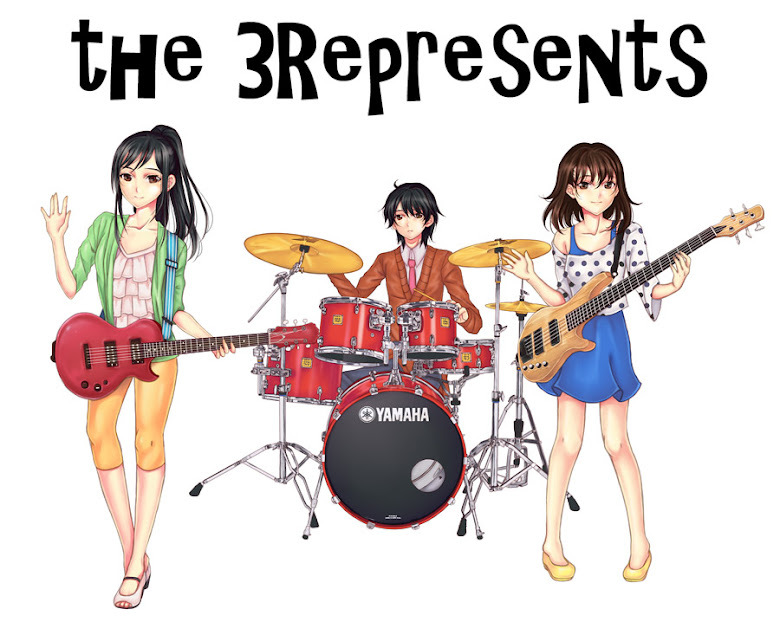 The 3Represents: Vocaloid Song: Asian Parent Stories Part 1: Sellout! Vocaloid Song: Asian Parent Stories Part 1: Sellout! Wow, it's been nearly a year since the last post. I can't believe so much time has gone by so fast. It was last summer that Megumi decided to take up gardening. Just like that, she dropped playing the guitar. I looked at Yasuko and asked, "Is she kidding?" Yasuko reassured me that this was just a phase and that Megumi would pick up the guitar again very soon. A couple of weeks went by, and after that, it turned into months. I pleaded with Yasuko to talk to Megumi, but she insisted that there was nothing she could do. "I can't force her to play the guitar!" she said. That left me and Yasuko with not much to do. A drummer and a bass player without a guitar player...Oh, Yasuko can play some guitar and I can play some keyboard, and we tried tinkering around with writing, but without Megumi, we couldn't really put together anything. After a while, I was pretty much resigned to the idea that The 3Represents was over. One day, I was watching YouTube videos when Megumi stopped by to visit Yasuko. She saw me laughing at my computer screen. "What's so funny?" she asked. I was watching that rather infamous video of Courtney Love and Hole performing Celebrity Skin. You know--the one with her isolated vocals and guitar. I played the video for Megumi and she didn't have quite the reaction I expected. She didn't find it funny at all. Instead, she was absolutely transfixed by it. "She's so powerful!" she said. Then she told me to play other videos with Hole performing. After that, she got her mojo back. 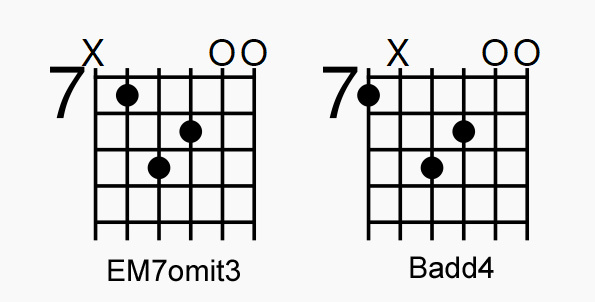 I don't even know if those are the proper names for those chord voicings. I just punched them into a chord naming I found on the Internet. Yasuko came up with most of the lyrics which was inspired from her perusal of the subreddit /r/asianparentstories. She has a lot more ideas from that so she and Megumi are working on new songs. This song is also a lot faster than what Megumi normally writes at, clocking in at 142 BPM. So, here's our new song Asian Parent Stories Part 1: Sellout!